Blue Note Records—the label that cut its teeth in the ’50s and ’60s with crucial albums by such jazz stalwarts as Thelonious Monk, Sonny Rollins, Miles Davis, John Coltrane (pictured), Horace Silver, Art Blakey, Bud Powell, Jimmy Smith, Grant Green, Wayne Shorter, Dexter Gordon, Herbie Hancock, Jackie McLean and Ornette Coleman—celebrates its 70th anniversary this year. Founded by Alfred Lion, Blue Note was the most prolific of the five independent jazz labels from the ’50s—a short list that included East Coast imprints Prestige and Atlantic as well as California-based Contemporary and Pacific Jazz. 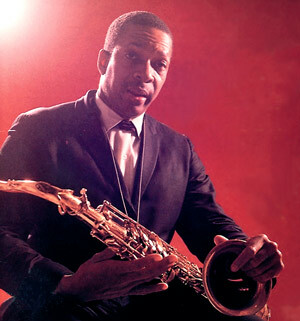 Although it occasionally dabbled in New Thing-style free jazz by Coleman, Eric Dolphy, Bobby Hutcherson, Sam Rivers and Andrew Hill, Blue Note was best known for the distinctive hard-bop sound of its ensembles, which frequently featured lineups with tenor sax, trumpet, piano, bass and drums. To mark the milestone year, the Blue Note 7, featuring tenor saxman Ravi Coltrane (son of John), has hit the bricks for 50 U.S. dates and just released Mosaic: A Celebration Of Blue Note Records, which contains updated versions of eight of the label’s classic tracks.